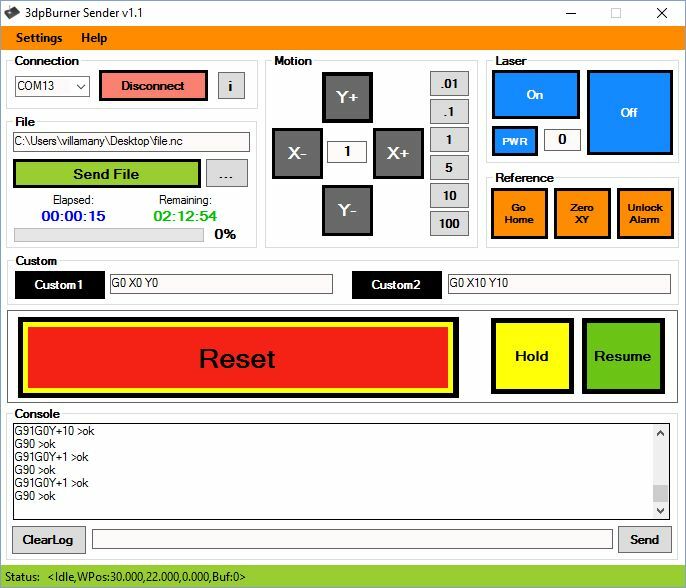 A new stable version of 3dpBurner Sender application has been released. This application is the reccomended one for streaming files to the 3dpBurner over Windows . You can download the binary directly here. Or check the downloads page. 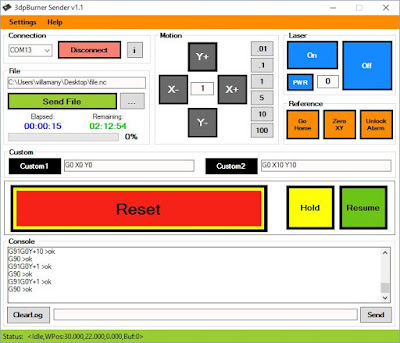 -The application has been centered for simplicity and 3dpBurner best performance instead compatibility with general GRBL based devices (there are other better alternatives for these). Mode menu and port speed selection has been removed. -Added "hold" and "Resume" buttons. -When sending files the screen and system will prevent to entering in idle mode returning to default mode when no transfer in progress (prevent hangs and micropauses issues when streaming). -New look and other minor functions added.